Advent Day Four: It’s Not Fair! 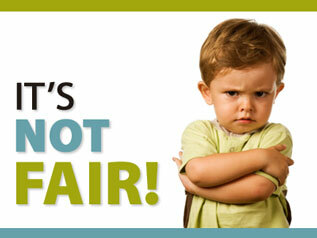 My children’s favorite phrase lately is “It’s not fair!” Even our two-year-old, Henry, if denied a snack ten minutes before we are supposed to eat dinner, will look up into our faces and yell, “It’s not fair!” From who gets to go first to who gets to pick out the movie, arguments abound in our house about fairness. Something innate within us longs for justice and righteousness. We each seem to carry a measuring rod that surveys the level of injustice and wrong in the world, most often the level of injustice that is being inflicted upon us. How have I been wronged lately? What pay raise has passed me by, who has cut me off in traffic? Minor injustices, really. And yet our bones seem to scream, It’s not fair! Never mind the long list of injustices and wrongs that are committed daily, covered in the news and inflicted in secret, in the shadows of homes, in dark alleys, injustices that leave us paralyzed by helplessness. These are the injustices we face that make the promises of the prophets, especially this one in Jeremiah, poignant. This righteous sprout will do what is right and just in the land. He will rescue us from the kingdom of injustice and deliver us into the kingdom of God. He will be called The Lord Our Righteous Savior, and the kingdom of God will descend to Earth. Underneath our tree are about a dozen or so Christmas stories, ranging from The Night Before Christmas to A Tow Mater Christmas and everything in between. Tonight, we will take time to read a few Christmas books together near the tree, and if I am feeling extra ambitious and generous, maybe there will even be hot cocoa again. Receive the occasional news from Sarah via email - subscribe now.